The KTM 1050 Adventure, the new entry level tourer, has made a surprise world debut at the EICMA 2014 in Milan, Italy. The newest member of the Adventure family closely follows the flagship 1290 Super Adventure which premiered at INTERMOT in September. 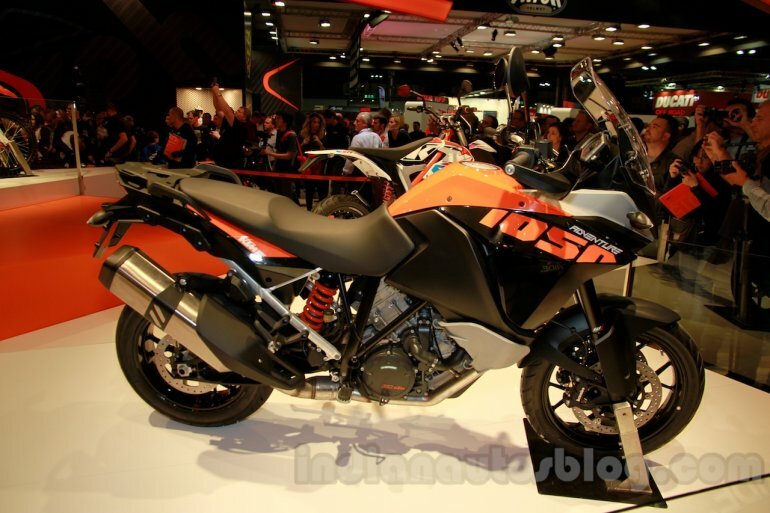 Within a span of 40 days, KTM has doubled its Adventure portfolio. The 1050 Adventure mainly caters to the novice riders with an A2 license. Since the European license rule states that a bike's output can't be tuned down to 48 hp (the A2 limit) if the original power is more than twice that value, a dedicated model has been developed to comply with this rule. 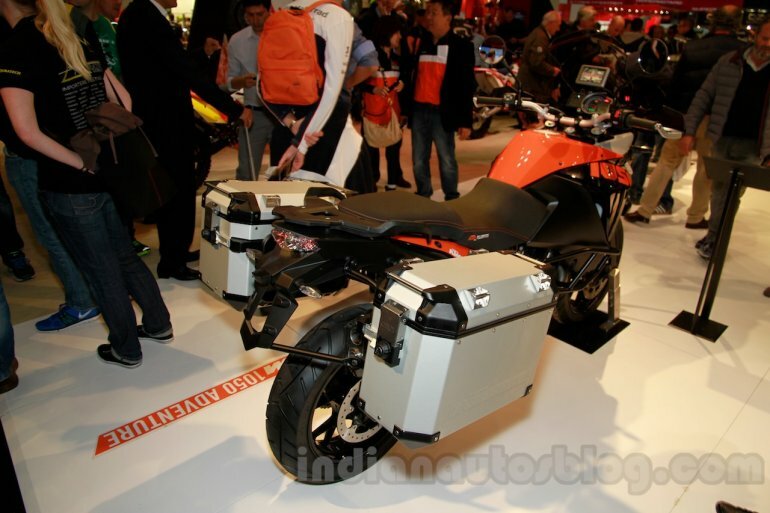 The entry level tourer is powered by a 1,050 cc liquid-cooled V-Twin motor which develops 95 PS (93.66 bhp). 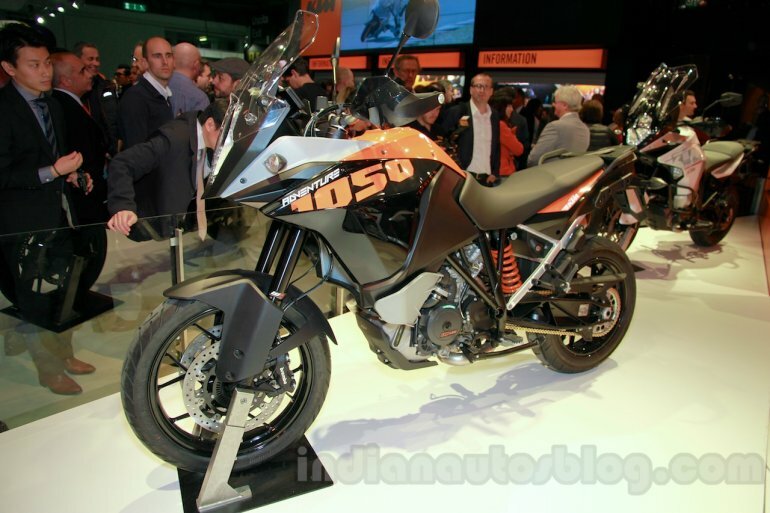 The motorcycle is offered with a detuning kit which reduces the power output to the legal limit of 48 PS (47.3 bhp). The engine is mated to a 6-speed gearbox but detailed specifications are not out yet. The motorcycle weighs 212 kg. Though the engine output is modest, the 1050 Adventure offers top drawer equipment like its bigger siblings to take on any terrain. Standard equipment include ABS, Traction control, Brembo brakes and a WP suspension system. 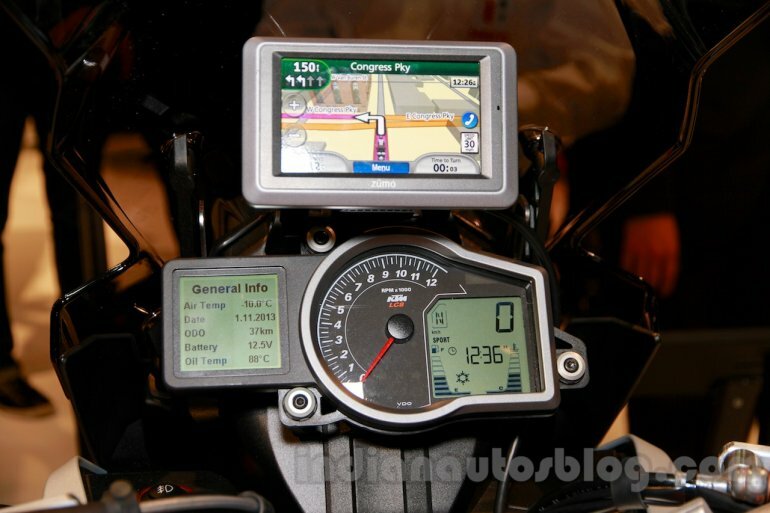 Other noteworthy features include KTM Ride Modes and throttle-by-wire technology. More details are available in the press release below the gallery.